to achieve ultra-low running costs and a beautiful visual experience. 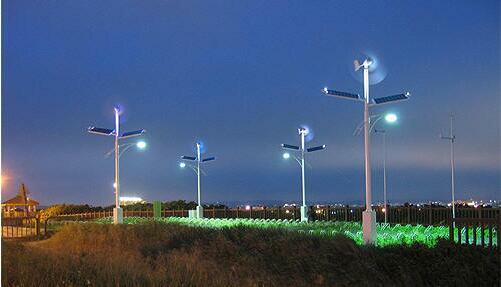 off a newtrend in the lighting field, truly emission reduction, leading the sustainable development. night, no external power supply, safe, green energy. 2.Charging and turn on or off lights without manual operation, long life span. combinations of light control general and timing would work. At dusk, when the solar panels without charge currentmore than 5 minutes, the system defaults to the dark, the controller starts the lamp, Meanwhile, start timing, when the time reaches the set time, the light automatically turns off. Lamp holder parts: double set lighting system, a set of mains AC220V, another group of DC24V by battery power supply.